Fast forward to the early ’90s. I popped into a local antique store and saw a charm bracelet that was filled with hefty silver European charms and I swooned. It was wonderful and, alas, wonderfully expensive. The store owner called the seller and she dropped the price 20%. It was still expensive…honestly I wouldn’t buy it today at that price…but back then I did. I no longer have the bracelet in toto. After several years, I took off the charms I really liked and sold the others. 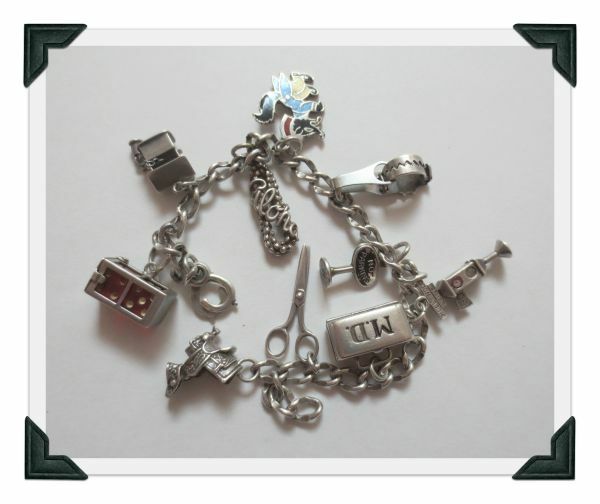 This bracelet has some of the charms I decided to keep. But a delightful thing happened after that antique store purchase…I started finding other charm bracelets…ones that weren’t expensive. Some I’m betting were inherited by family members who didn’t care a tuppence for them and were eager to sell them. I got them on the cheap. And I started learning more about charms. I discovered some were “mechanicals” or “moveables” and all the more desirable. 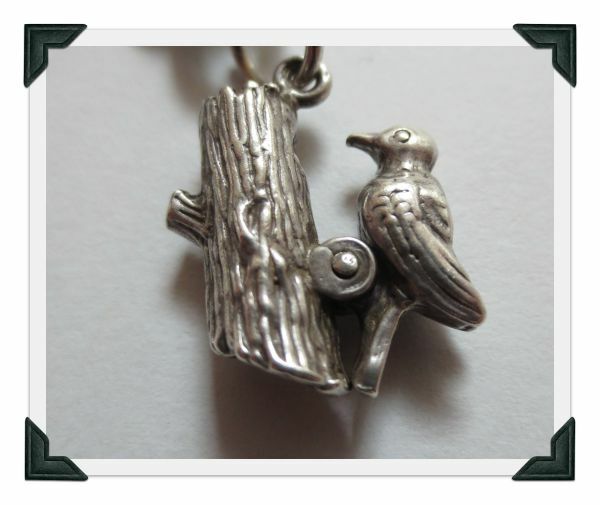 Like this woodpecker charm. 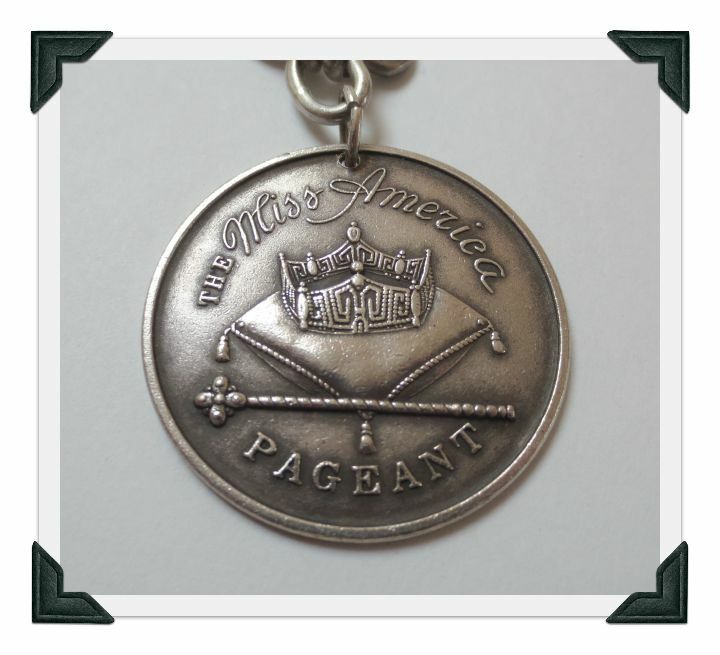 Many of the charms in this vintage charm bracelet below move or open. I find the animal trap a bit unpleasant (need to get rid of this one) but rather like the bakelite dice in the cage that opens and the MD bag that opens to reveal a baby. Even the detailed saddle has stirrups that move. And you gotta love the phone with moveable dial, the whistle that really works and the Stanhope atlas charm with scenes inside. 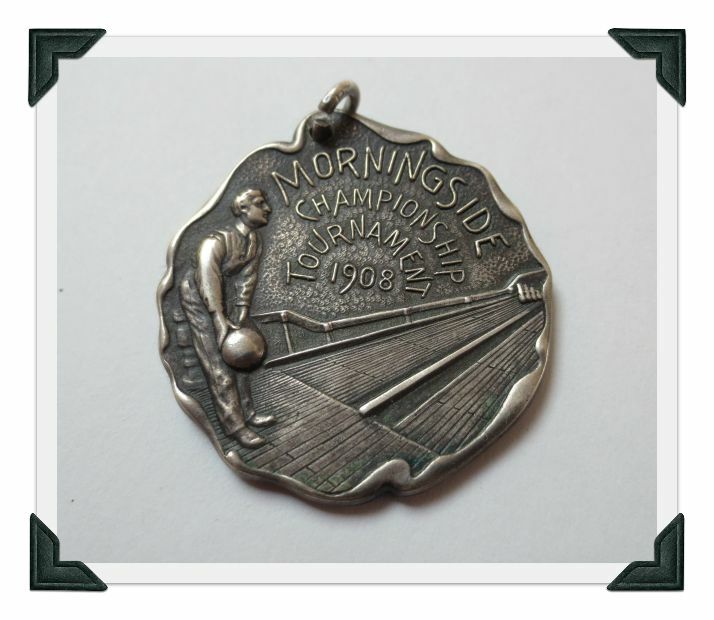 And who wouldn’t want to receive a charm with this message on the back! 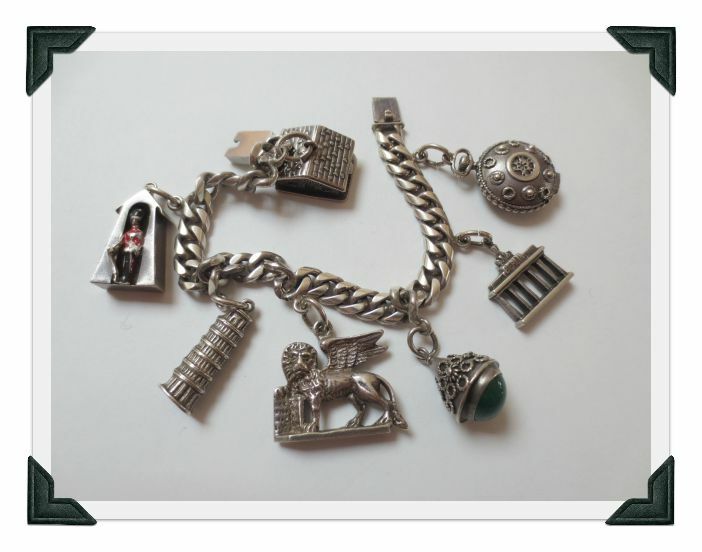 After decades of joyful charm collecting, I ended up owning over 40 vintage sterling silver charm bracelets. (A tad excessive, ne c’est pas?) Though I will say in my defense, I wear them a lot. For a night out, I might load up my right arm with up to seven jingly, jangly bracelets. 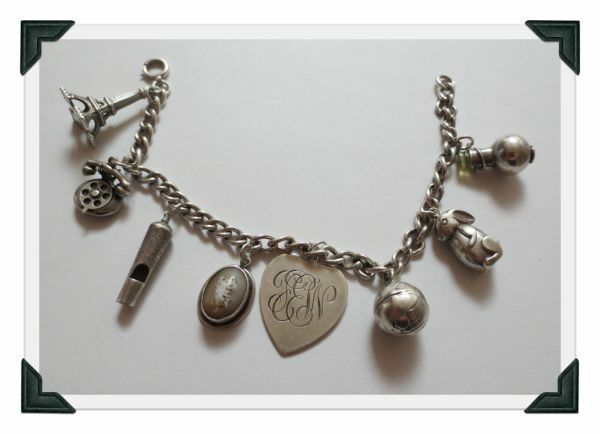 Would love to hear if you have a charm bracelet and what’s on it and do you wear it!!! ← Birth of a Collection…or What Do You Collect?